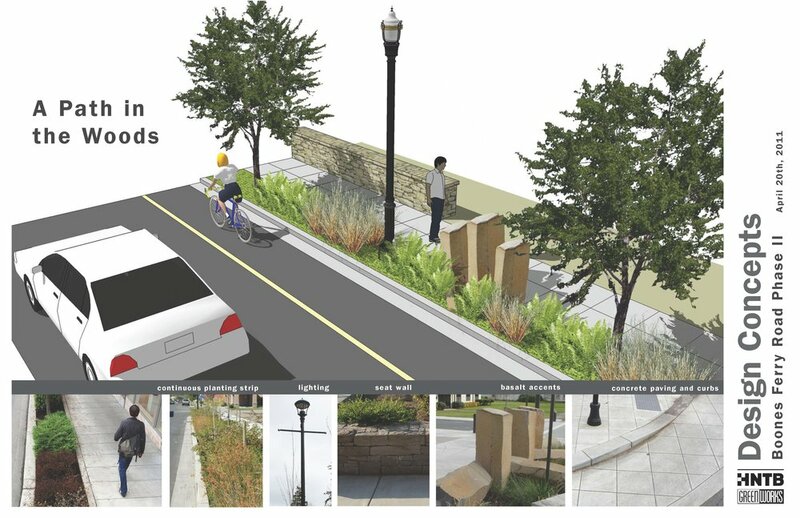 GreenWorks worked alongside HNTB Corporation and the City of Lake Oswego to develop an innovative streetscape and green infrastructure strategy as part of the Phase 2 Boones Ferry Road Improvement Project. Using the scope at hand, the design team identified multiple green street strategies and concepts from successful similar projects, ultimately concluding a center median based treatment concept would best manage stormwater runoff from the roadway and sidewalks. The overall character of the streetscape has been designed to support the vision set forth in the Lake Grove Village Center Plan to reflect the natural beauty of the surrounding evergreen forest.